Clearly the extra years of experience and practice pouting have paid off for Sam. Marcel can’t keep himself from cracking into a smile for more than five seconds. Sam can hold this for a long, long, time. Uncle started it. 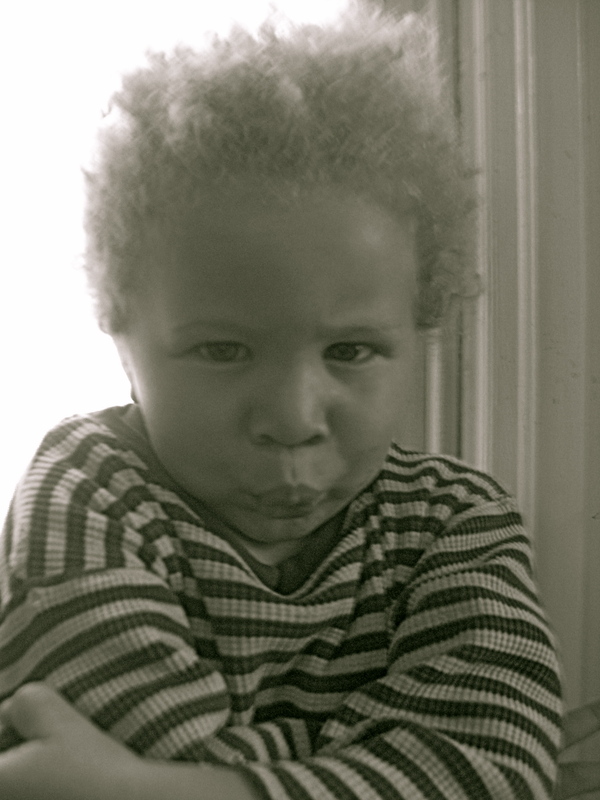 He get’s all the credit for the Pout offs. He is genius this way. Whenever one of them would be pouting about something absurd like not having a piece of Valentine’s Day candy for breakfast-he says; “Come on. Is that it? Let me see a really good pout.” Before you know it everyone is trying to out pout the other. It is a sign of emotional well being over here when I have time to document and explain the pout off. What I got a kick out of, was how hard it was for me to pout when they invited me into the competition. (Can you tell that the Olympics have been on? Next thing you know we’ll be making medals for the best pout. I smell a snow day activity coming on.) I tried to get into my pouting self, and felt about six or seven for a second. I almost ate my nose with my lower lip! What I also noticed was how much like a rapper pose these pout shots resembled. Anyone want to speculate on which came first? The pout or the pose? Speaking of talent, Sam is shooting a commercial (volunteer PSA for a healthy eating and exercise program) this afternoon. He suffered through six gallons of conditioner and combing and mom’s line up for the occasion! Marcel will be at school all day, so Sam and I have a long overdue Mommy-Sammy day. It will start with donuts. We will keep that to ourselves at the film shoot. Then we are going ice skating with hockey sticks and puck!!! at the pond in the park. He must have read my mind as he just woke up this second! I think donuts. He wakes up. This is my child! If you haven’t already done so, please check out my newest post at Moms of Hue. It features some local talent, and brings up in another venue, and voice for me the question of race, and how we talk about it. 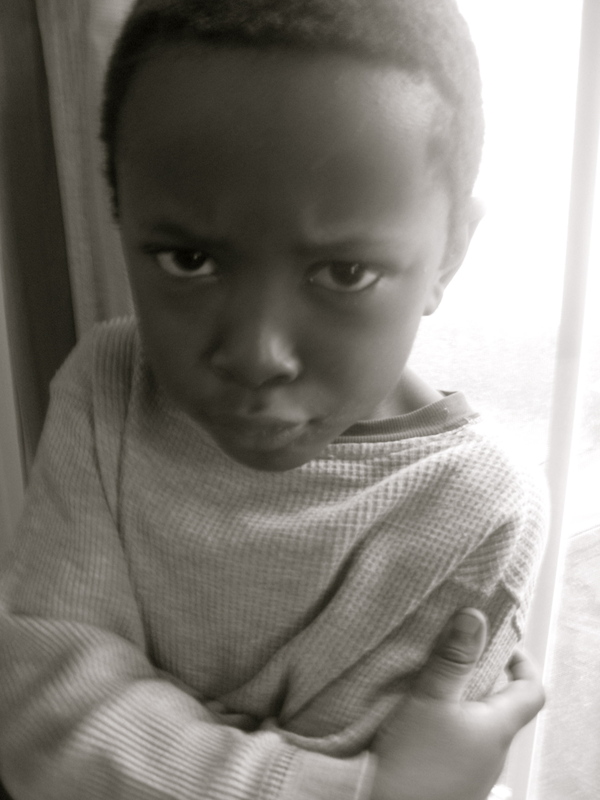 I think Marcel has more of a blue steel thing happening (the male model face from the movie Zoolander). That look may make him famous lol.